Razz09 is my jam on here. Light and airy. Think Mark Grant or Chris Gray but with beefier bassline and a bit more techy. It's got nice ups and downs. Makes you want to dance. This crosses all genres and races. Deep house in the true sense. The A side has the Detroit rawness to it. Another fun jam for the underground sound. Marcellus Pittman (3 Chairs) gives us here a strong release. 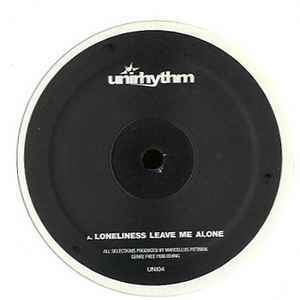 "Loneliness Leave Me Alone" remains some FXHE and Sound Signature flavours, but still with Marcellus very own style. "Razz 09" on the B side sherishes the strings of the Motor City, still with strong basses. Top quality on both sides, for me the best release of 2010 coming from Detroit, a must have for all the lovers of Beat Down style.